March 23, 2015 / admin / Comments Off on Tipi, Teepee or Tepee???? You say Tipi, we say Teepee! Let’s talk Teepees! Or is it Tipi’s or Tepee – or shall we just call it a Marquee? How about a Tent, Marquis, Kata, Giant Hat, Stratus, Cirrus……..Confused? We aren’t surprised. So let’s try and simplify things for you. If you are here, you are probably looking for a venue to hold your Wedding, Party, Festival or some other special occasion. You may have looked at many different Teepee/Marquee companies (oh for goodness sake – let’s just stick with Tipi for now!). So you may have been through a few TIPI company websites and now you have a lot of questions and a bit of a headache, but you are no closer to deciding what you want, where you want it, how much you want to spend and what company to hire it from! We use Tent Tipi. There is no other Tipi maker out there who produce better quality and more reliability than Tent Tipi. Our Team are knowledgeable and friendly and straight talking. This is so important when you are looking for a Tipi provider, we can’t stress it enough. If we say ‘we don’t think that will work’, or ‘you don’t need that’, or ‘in our experience…..’ then we mean it with the best of intentions. We never want to stay quiet and just simply do as we are told. Of course we will work our socks off to ensure that we deliver exactly what our clients want, but we will never do it at the expense of Health and Safety, to cut corners or to save a bit of cash. 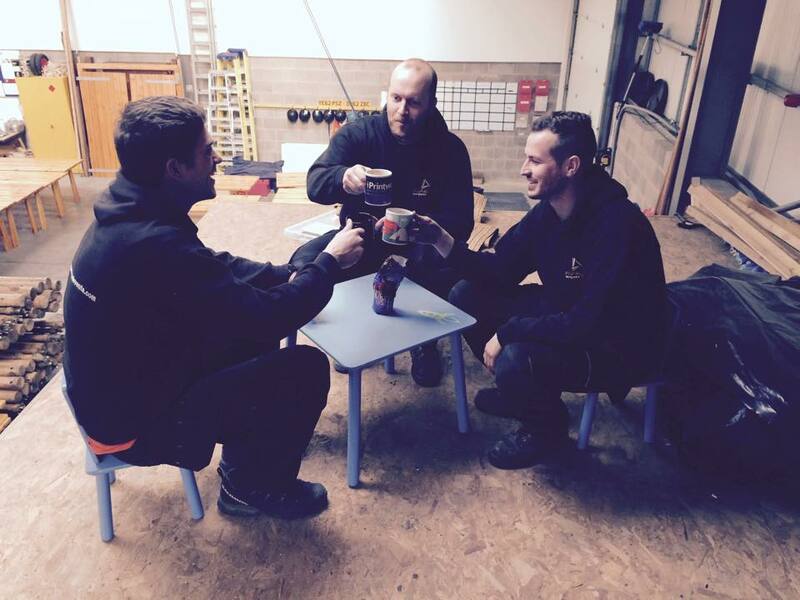 We pride ourselves on being the most professional, knowledgeable, efficient, punctual, flexible, friendly, contactable – pretty much any other superlative we can come up with – Tipi company in the UK! Our clients say we are great! Why take our word for it? Just ask people who have already worked with us. We have some testimonials on our website that you can see here. But clearly we are only going to put the best testimonials on our website right? Well yes that’s true, but that’s because we honestly don’t have any bad testimonials. Of course we have received feedback, and we take on board everything that our clients say to make our service even better. There is always room for improvement and we will never stop aiming high. We want to be the best Tipi, Teepee, Marquee hire company in the World!!!!! So we hope that helps to clear things up a bit. To summarise, you need to look for quality, reliability, a proven track record, honesty and professionalism. And that is All About ME! March 18, 2015 / admin / Comments Off on Crew Members Wanted! All About Me marquees and events is a mutli award winning company that strives on delivering 1st class customer service from start to finish on all our events. All About Me aims to be the best marquee/ tipi supplier in the UK in both exceeding clients expectations and achieving prestige brand awards with current and new suppliers. The team at All About Me thrive on delivering the real Wow factor from initial enquiry through to picking up the last bit of rubbish on our site pack down. Brand image and customer interaction is at the heart of our company and we want all our customers, suppliers and competitors to hold All About Me in the highest regard and to talk about our high level of service as much as our tipis themselves. You will also be required to participate in the safe build and take down of our tipis at various events throughout the UK. The Role is very demanding both physical and mentally and also involves working as part of a team. Each day will have its own building and logistic challenges and requires a Work hard Play hard attitude. You will be required to work as part of a team in building and taking down the tipis on a variety of events. You will undergo on the job training on all aspects of building and taking down the tipis along with Loading and unloading the trailers and vans correctly. Adhere to All About ME marquees and events strict Health & Safety policy, risk assessments and method statements. You will be required to work as part of a dynamic team and follow instructions and develop skills in all areas of the business. It essential that you’re polite and professional to all colleagues, clients and suppliers at all times. You must report to report for work in the correct uniform for the days tasks and be clean and presentable. The UK love St Patricks Day! 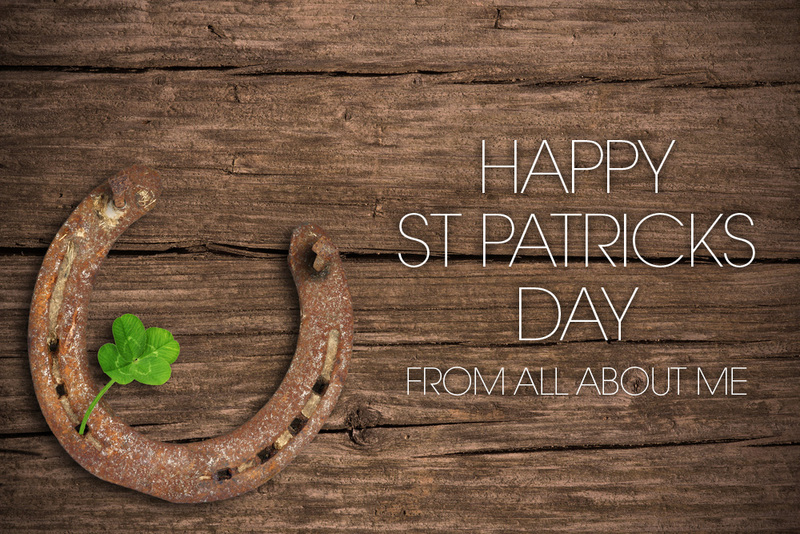 The whole nation seem to get involved in a celebration of all things Irish. And Manchester in particular transforms into a mini Dublin. The Manchester Irish Festival is taking place until this Friday. There are loads of events going on in and around the city such as a St Patricks Day Parade, the Irish Festival Market and an outside broadcast by BBC Radio Manchester at the Irish World Heritage Centre. Chester and Ellesmere Port are also getting into the Irish spirit with the Chester Chronicle posting ‘Party People Photo’s’ on its website. Take a look – there are some great photos on there! 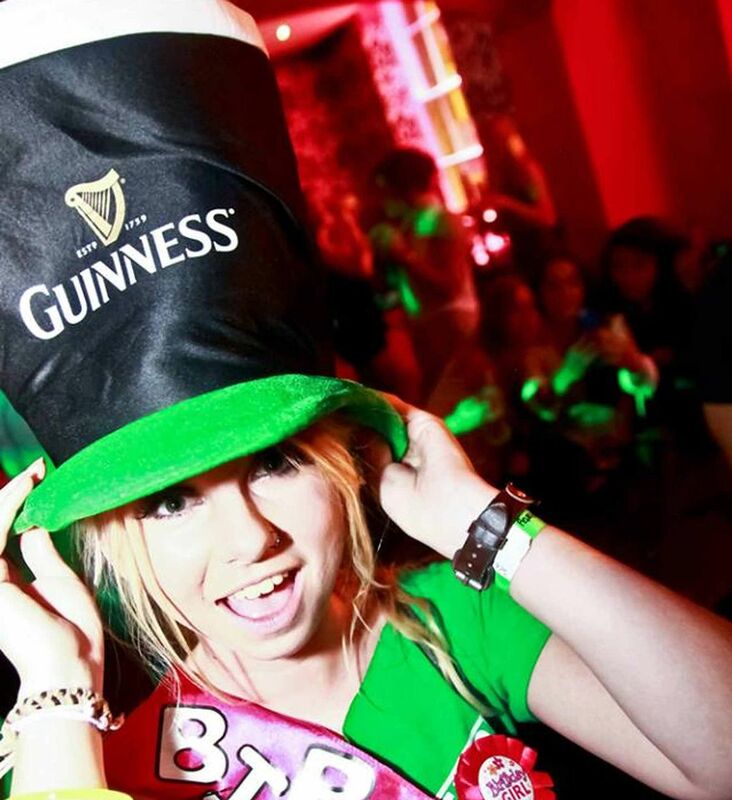 If you have a Paddy’s Day photo that you want to share with us, tweet it to @marquees_events. If we can get our Directors into a Guinness hat at some point during the day we will tweet it later on. James doesn’t know it yet, but we have the photoshoot ready for him along with a pint of the black stuff! Interested in becoming an All About ME Crew Member??? March 11, 2015 / admin / Comments Off on Interested in becoming an All About ME Crew Member??? Do you fancy joining the best Tipi Team in the North West? If you are physically fit, want to work in a friendly environment in a challenging role and aren’t afraid of a bit of hard graft then we want to meet you! We are having a staff recruitment day on Sunday 12th April. This will be an opportunity to show off your team skills and your initiative whilst you help to erect a Tipi as part of the All About ME recruitment drive. If you impress us then we will invite you for interview. Simple as that! We are looking for a new crew member and also a crew member with driving responsibility. Ideally you will hold a trailer licence and have experience of towing heavy loads. It would also be good if you lived within 30 miles of our headquarters near Chester. For full job descriptions and person specification please contact us on 07596 103 352, or keep an eye on our Linkedin Page and our website for further details. Alternatively you can email andy@marqueesandevents.com. What a great weekend at the Tipis! March 10, 2015 / admin / Comments Off on What a great weekend at the Tipis! 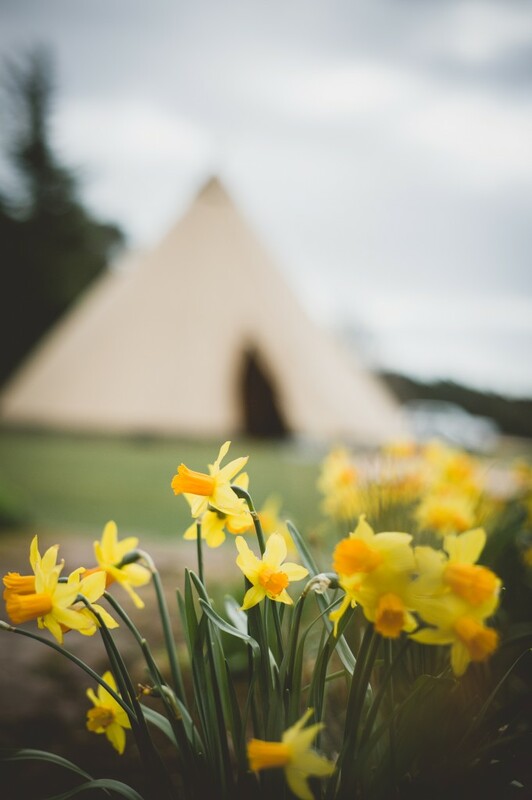 There was sun, rain and wind over the weekend at Trafford Hall, but no matter what the weather the Tipis looked stunning and it was lovely and cosy inside. The Tipi team were so pleased with the amount of brides and grooms who came to see us at the beautiful Trafford Hall in Cheshire. What a great turnout! We certainly got through a whole lot of fizz and marshmallows. Trafford Hall – for providing such a spectacular setting for the Tipis. LighTech – just look at the pictures to see how brilliant this lighting company made our tipis look! 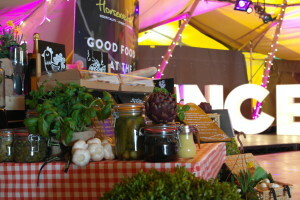 Horseradish – for bringing yummy fresh produce to the tents each day. The veggie platter was a particular favourite of ours. Such a different and special vegetarian option for wedding guests. Andrew Southcott Catering – for being on hand to discuss traditional wedding breakfast ideas with the brides and grooms. 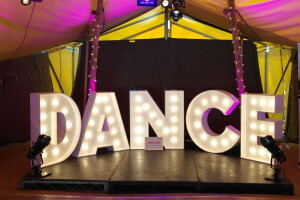 The Big Booth – did you see the size of that DANCE sign! It made a brilliant focal point in the tipis and certainly inspired some of us to get up and show off our moves! 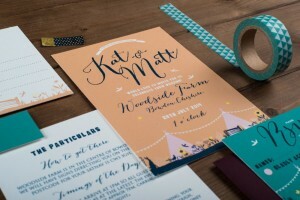 The Charming Press – what stunning wedding stationery – especially the invitations with the Tipis on – take a look at the picture. Double Decker Bus Hire – for keeping the drinks flowing all weekend. Everyone loves the bus and there is always some great music playing at the bar! Living Colour Floral Design – made our Tipis look gorgeously floral as always. The perfect wedding florists. Blue Loos – provided quality loos for the Tipi staff and all of our guests for the whole weekend. Pretty Little Trio – for making our tables look extra special with their selection of vintage china available to hire for weddings and events. Come and see us at Trafford Hall this weekend! March 2, 2015 / admin / Comments Off on Come and see us at Trafford Hall this weekend! Come and see our Tipis at our Trafford Hall this weekend! This is the perfect opportunity for you to check out the Tipis in all their glory at this stunning location in Chester. We will be on hand to chat to you and give you all of the information you need to make a start on planning your Wedding or event. If you have been thinking that it might be nice to have your wedding in a tipi but you aren’t quite sure what to expect, then this is the perfect opportunity. Just pop along and take a look. No cost, no obligation, no hassle. You can also meet some of our preferred suppliers such as DJ’s, Caterers and Venue Dressers. Of course, you can always use your own choices, but we like to have a few of our trusty suppliers on hand so that you can get an idea of what you might like on your big day. Trafford Hall is a brilliant venue and we think our Tipis look stunning set in the grounds of this beautiful Georgian Manor, but our Tipis can be erected pretty much wherever you like. As long as there is access, you have permission to use the land and it passes our risk assessments, we will bring the venue to you! We have lots of suggestions and links with venues all over the country, so just because you come to Chester to see us, doesn’t mean your wedding has to be here – although we are sure you will love Trafford Hall! This will be your last opportunity for a while to come to one of our Open Weekends, so don’t miss out. Come any time from 5pm on Friday until 3pm on Sunday. Please tell us you are coming by accepting the invitation on Facebook – this gives us an idea of who to expect, but don’t worry if you can’t commit to a time. It is open to everyone and you might even get a cheeky glass of fizz!